One of the nice things about being an adult—or even a teenager with a reasonable level of autonomy—is the freedom to decide to do whatever you want with your free time. The older you get, the odder your windows of free time get. This is one of the reasons I like video games. I seldom have a consistent amount of free time, but I can usually find something well-suited to filling a few minutes or a few hundred in a fun, engaging way. That’s getting harder, though. My games all seem to want me play at very specific times. In the current series of Hitman games, there’s a series of scheduled, one-off missions called Elusive Targets. They show up during an announced period of time in one of the game’s levels, and you have a few weeks to make an attempt at taking them out. You can’t save your game , and, pass or fail, you can’t try again. You only get one shot within that one window. 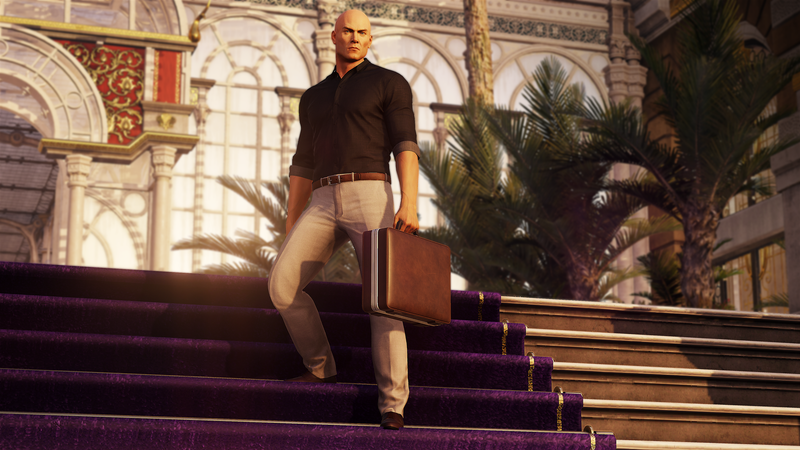 Recently, Hitman 2 introduced an exception to this rule, revisiting the first set of Elusive Targets from 2016’s Hitman. I was excited. I love everything about the idea of Elusive Targets. They offer a compelling reason to log on and play the game in a new way and let it surprise you. I love the Elusive Targets, but I chose not to pursue one this weekend. Another game beckoned. Destiny 2 needed me on Titan. Lately Bungie’s sci-fi shooter has introduced Invitations of the Nine, a series of small story quests that can only be taken on over the weekend. You have to find Xur, the vendor who shows up in a random location every weekend, buy the quest from him, and then fulfill whatever challenges it describes to you. Usually, this means you have to run a strike and kill a certain number of enemies. The reward is a cool, cryptic cutscene, a new bit of lore, and, of course, loot. Is this the same sort of compelling live game event that I described with Hitman’s Elusive Targets? Nope. But I’ll tell you what it is: Easy. It is not hard to knock out an Invitation of the Nine. It takes maybe half an hour, tops. It also promises something interesting for more than one player type: Loot for the gear-hunting player (I got a rad exotic rocket launcher) and some story for the lore-curious. It also does something really sneaky and mean: It gives you one really good hit of the Destiny 2 loop. Once you complete an Invitation, it’s not that hard to see what other challenges are available, and probably won’t take too long. And then another. And then wow, look at that, I’ve never ignited any of the Black Armory forges, I wonder what those are like? You could say that this is my fault, that Hitman’s Elusive Targets are here for weeks and I should make time for them. Destiny 2’s regular schedule of content should not throw off someone like me, who has been waffling around its endgame for the better part of the year. That would be a fair point. Despite my frustration, this is a thing I’m inclined to like. I like the notion of appointment video games, moments in an on-demand, asynchronous medium that, because of the specific time they’re offered, become an experienced shared that much more widely. If games are like places, it’s cool to say you were there the first time someone played Daft Punk to the rock kids. There to find a fun, goofy exploit like the Loot Cave, before it was patched out. Cool to have found a bit of story, or your favorite weapon in a game, during an event that was fleeting. I also know that, as someone who writes about games, my selection of current titles to play is larger than the average person’s, but when a majority of buzzy—and more importantly, free—games are also doing this sort of thing, it doesn’t take long for a person’s limited free time to be filled up with gaming appointments. Anyway, if you could help me find time to schedule a dentist appointment in between all this, I’d appreciate it.